In June this year, Patrick sat down (virtually) with Vivs Long-Ferguson of our partner Synaptica for an interview. 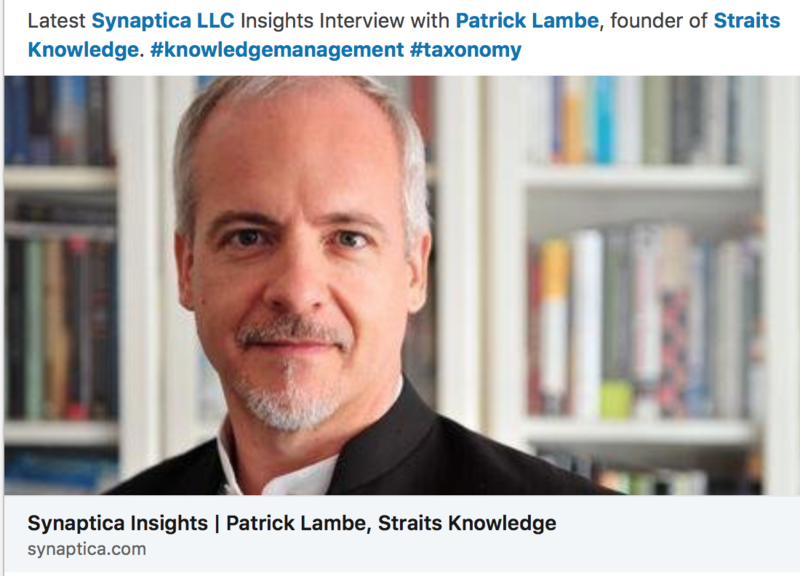 Among the things they spoke about was how Patrick viewed the KM and taxonomy landscape. Here’s the transcript of that interview.